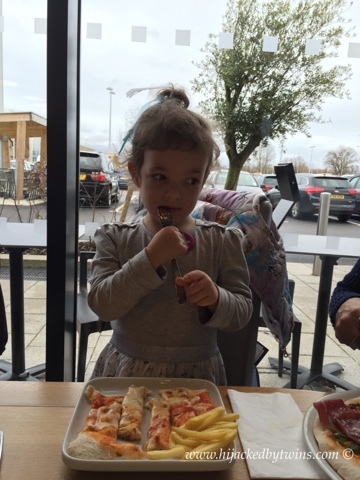 Now that the countdown is well and truly on for our amazing holiday with Carnival Cruise they thought that it would be a great idea for us, as a family, to go out and enjoy some Italian food to really get us in the holiday mood. One of the restaurants that I am most looking forward to trying while on board Carnival Vista has to be the Italian restaurant Cucina del Capitano. 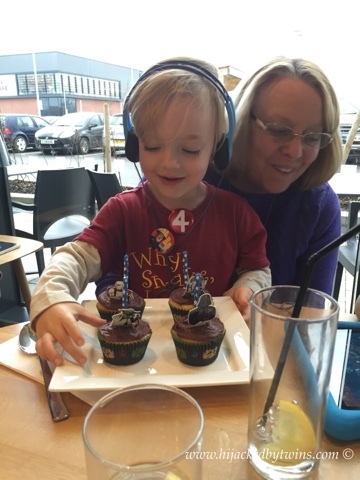 What better way to get an idea of what the food will be like than for us to visit Prezzo Italian restaurant. As Carnival Vista is still being built I thought that I would show you a video of what Cucina del Capitano looks like on their Breeze vessel. As you can see Cucina del Capitano has a true Italian feel to it. The decor makes you feel like you are in an Italian family kitchen. The walls are donned with historic pictures that are a record of Carnival's history. This is a totally unique dining experience which we simply will not feel until we are sailing onboard Vista in the summer. But we can get an idea of what the food could be like before we go. 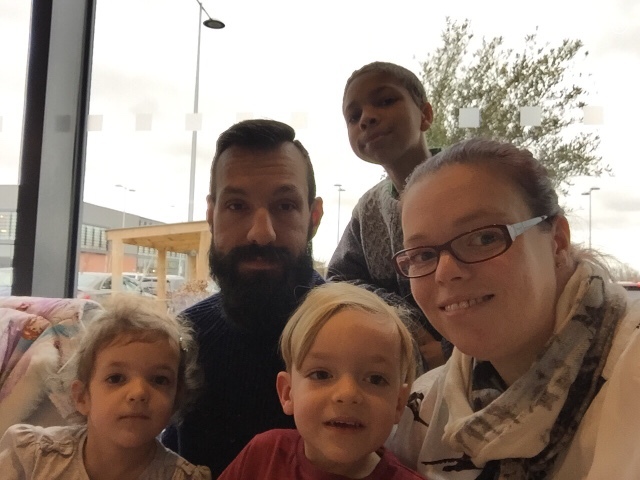 The twins turned four in February so we thought that would be the perfect time to go out as a family to celebrate their special day. 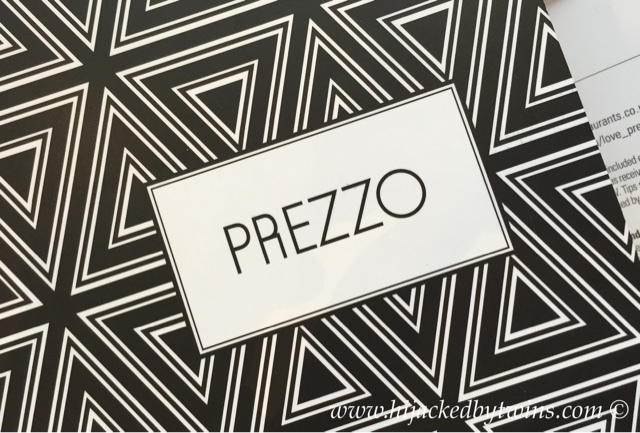 Prezzo has a true Italian feel to both the restaurant and the menu so we were all looking forward to trying some of the delights. The restaurant has a more modern feel to what I imagine Cucina del Capitano to be like. But having the Italian staff does give an authentic touch. Italian food is a cuisine that we all enjoy. There is such a wide variety of pasta dishes, pizzas, bakes, there simply is something to please everyone. 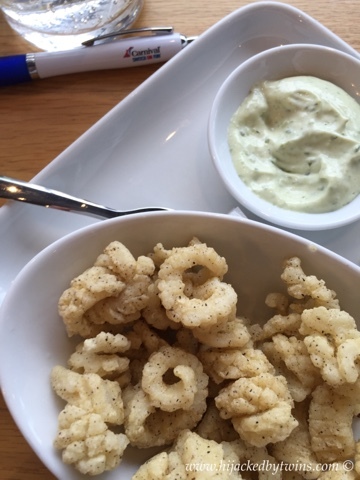 To start with we chose a starter to share of flat breads, antipasti and calamari. This is one of our favourite dishes. We love to have a course of foods which are placed in the centre of the table which everyone can dig in and share. Fresh olives are a must as are oils and vinegars to dip warm, fresh bread. Having a relaxed starter like this allows us to introduce new foods to the children and they certainly do enjoy being able to dig in and have what everyone else is having. The twins particularly liked the fresh olives! There was no surprise when the children decided to go for pizza as their main course. Freshly made pizza is unlike any pizza that you have had. The base of a freshly made pizza with the melting cheese and tomato sauce is something which I am looking forward to trying whilst we are in Italy! I decided to try a baked pasta of goats cheese with mushrooms, peppers, spinach and fusilli in a pomodoro and pesto sauce. This dish was so full of flavour from the melted goats cheese and vegetables. 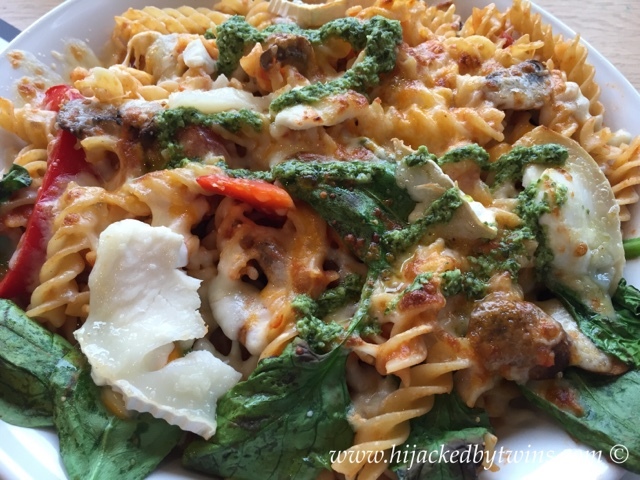 The pesto over the top was the perfect finish to a pasta dish that I am longing to try at home! 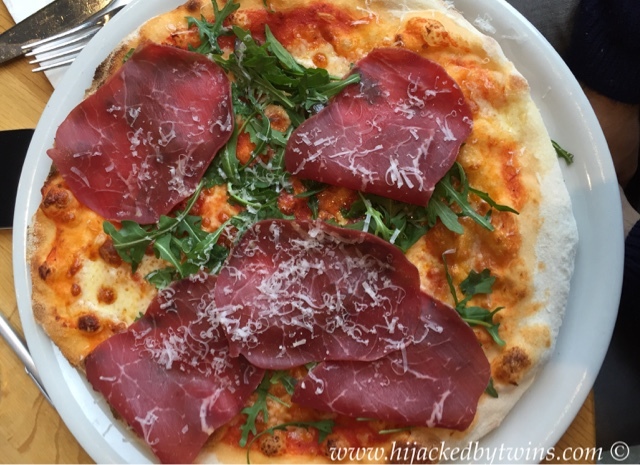 The hubby went for a pizza topped with a classic Italian cured beef, bresaola, rocket, olives, bella lodi cheese, mozzarella and tomato. The meal, the service and of course the company was fantastic. 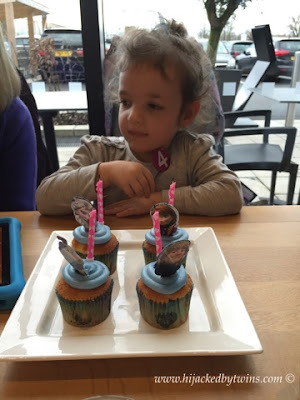 We celebrated the twins birthday eating delicious food and dreaming about our summer holiday! As you can imagine we are now starting to get excited. We have just five months until our once in a lifetime holiday around the Mediterranean. To keep the excitement going I am going to start cooking regular "Vista Meals". 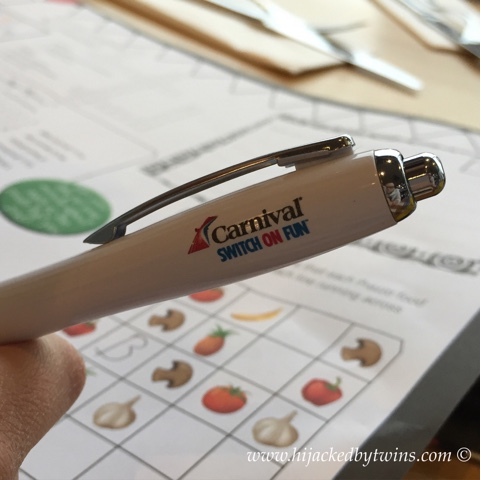 I have had a sneak peek at the menus from the other Carnival vessels. The first dish that I am going to cook is from the Cucina del Capitano menu. I have selected Nonna's Linguine and Meatballs to try. I am going to cook the dish as I imagine it to be and then while we are onboard I will try the authentic recipe and see if it was at all as I imagined it to be. Keep an eye out for that recipe coming on Friday 25th March 2016! Cucina del Capitano is just one of the many restaurants that we will find on Vista. Over the coming months I am planning to cook meals from BlueIguana Cantina (Mexican), The Chef's Table, Guy's Burger Joint and Ji Ji Asian Kitchen. Carnival Vista is in the final stages of preparing for its official launch date of 1st May, which is only in a matter of weeks. When Vista has been launched I am sure that I will have lots of pictures to share with you. I, for one, cannot wait to see Vista ready and waiting for passengers. If you are looking to book a cruising holiday then check out Carnival's Spring into Action campaign. If you book in March you can enjoy some great prices as well as up to $100 onboard spending credit. To check out this great deal simply go to Carnival UK for further details.